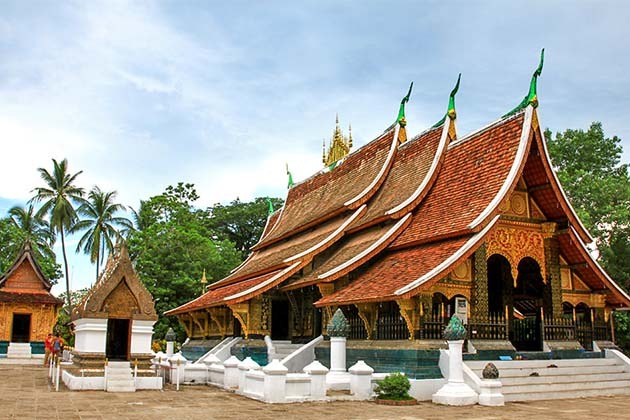 During the Laos tours, if you set your foot on this wonderful land – Luang Prabang, do not forget to visit the special village, where there is a special Lao-Lao whiskey but no less new strange at the first try. The village itself made its name by distilling and introducing whiskey to tourists. Only a 30-minute drive from Luang Prabang town center, setting off on a moped to investigate the small Whiskey Village. Why is Whiskey Village Special? 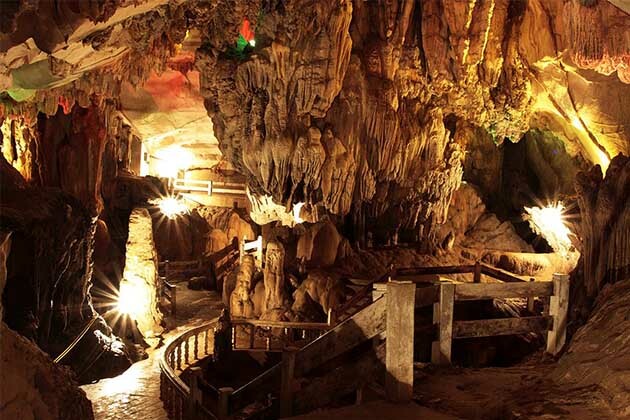 A visit to Ban Xang Hai, also known as “Whiskey Village”, is usually taken on boat trips to Pak Ou Cave. Ban Xang Hai means “whiskey village”. At that time, the village was considered a new industry here. When you arrive in the village of Lao-Lao whiskey, you will feel overwhelmed by the trip to anywhere in the village, you will find the bottle. Also in this place, archaeologists have dug the side pots under the village can be 2000 years old or more. 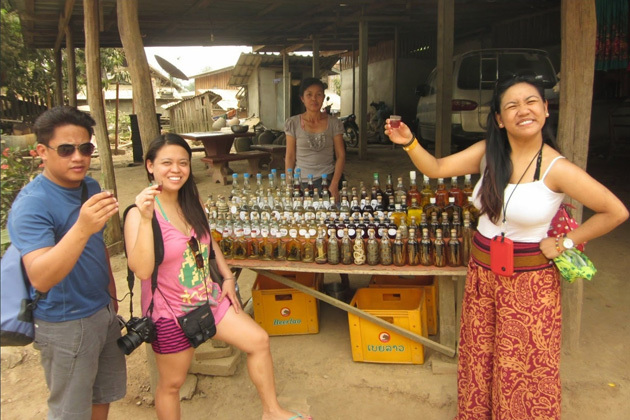 If you are curious to know how the Laotian wine is and Lao-Lao whiskey recipe, try once visit. And the most appropriate time is near noon if you want to try in the home of local people. Through the road from Luang Prabang town, you can also visit this interesting village, where one of them includes the snake, insect mixed and fermented, sold in the different bottle. Especially, the village is not only famous for its wine but also famous for its silk production. You can also buy other fabrics or handicrafts here. 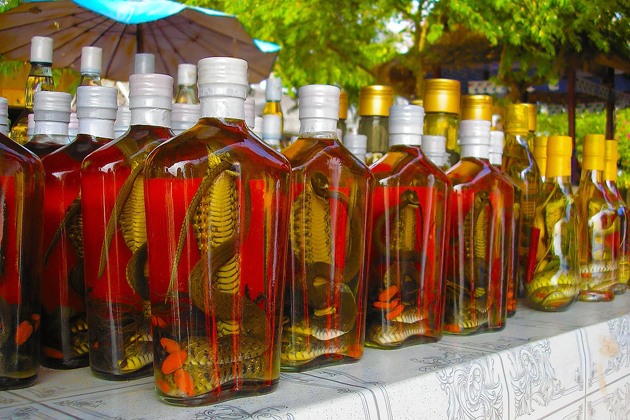 Snake wine is the most popular wine in Laos and it is bought as a souvenir by many Western tourists. Laos wine is different in anywhere in Laos, but perhaps the wine in this village is more special. In the wine bottle is a cobra that is actually soaked with ginseng and nutshell. This wine should be soaked for several days, soaking as long as it tastes, it gives a unique taste, exactly, its taste like a shot of vodka. Moreover, there are many people find the price of its and automatically assume its taste like pine resin and it will give you a big hangover, so they will not even try once. But they don’t know that they are missing a great opportunity to try a little taste of Laos. If Vietnam beer is considered the cheapest beer in the world, come to Laos, wine of Laos is considered the cheapest drink in the world. In Vientiane, you can easily find bottles of Lao-Lao Whiskey in small shops throughout the resort for under $ 1 for a large bottle. Concentrate alcohol in each bottle only about 40 degrees or 45 degrees. Retailers also have a variety of color wines. The lowest prices found for a bottle of Lao-Lao whiskey are 7 liters / 45% alcohol for 6000 Lao Kip = 0.74 US dollars. 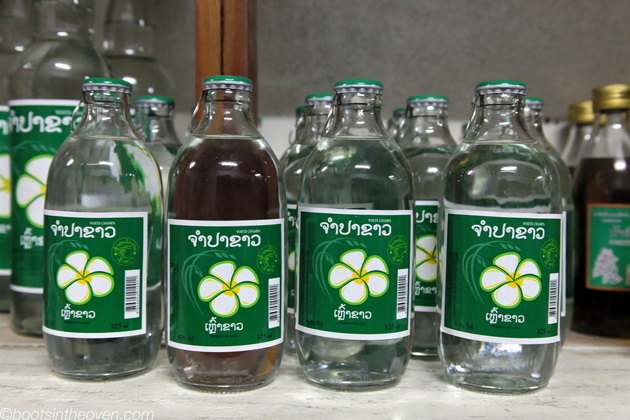 With only 75 cents, you can be proud that you can own famous local Laotian wines, commonly called TB-TB. It is a simple whiskey distilled from rice, and it is available throughout Laos. You can also enjoy a free flow of rice whiskeys at many tourist restaurants. A small glass will put you under 50 cents, and what they say on the menu is a “bottle” usually under $ 2 for Laos whiskey with snake. Is Snake Whiskey Safe to Drink? Snake whiskey is proved to have positive effects on human such as strengthen the body as well as prevent people from some diseases. However, it will cause a lot of bad consequences to your health if you drink too much. Therefore, enjoy snake whiskey in Laos but keep it under control.